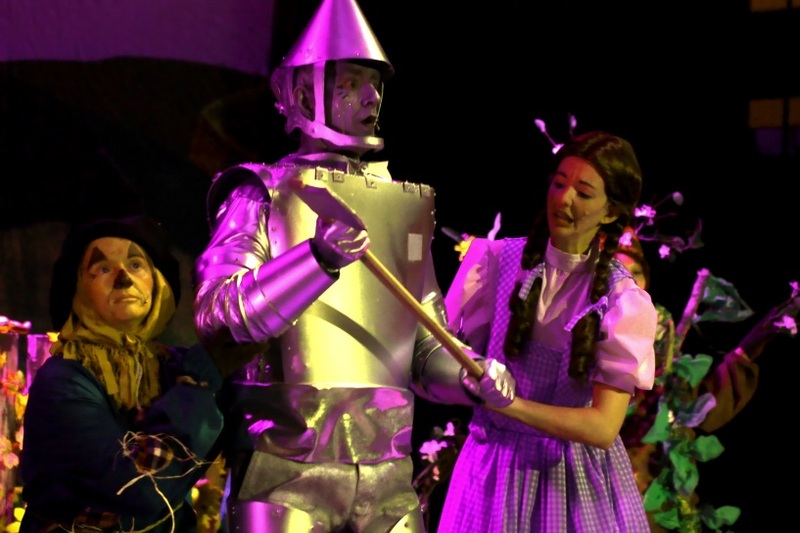 The timeless “Wizard of Oz” tale has been adapted into a dazzling musical. 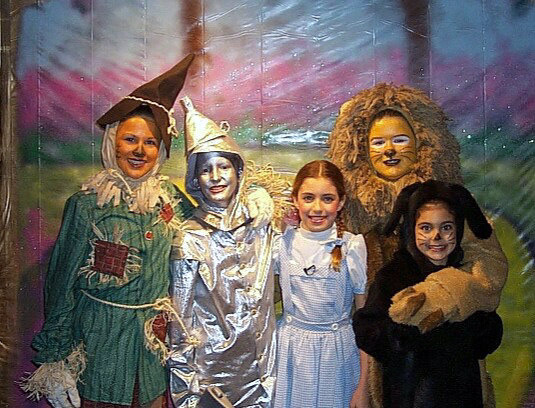 A cyclone carries Dorothy and Toto to the magical Land of Oz. When Dorothy’s house squashes the Wicked Witch of the East, she is ecstatically thanked by the liberated Munchkins and given permission to wear the witch’s powerful silver slippers. 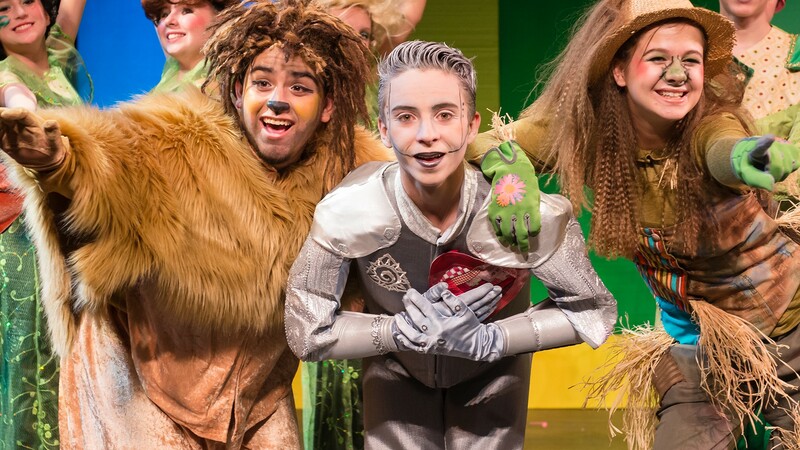 From there, Baum’s lovable characters, rubber-legged Scarecrow, Cowardly Lion and Tin Woodsman, join Dorothy on a journey to meet the great Oz. While on their trek, they battle the Wicked Witch of the West, who is determined to get revenge for the death of her sister. This bright musical is charged with a bundle of wonderful songs and thrill after thrill... Read more...like the escape from the Fighting Trees and encountering the enchanted poppies. Eventually, Glinda the Good Witch helps Dorothy defeat the evil witch and her winged monkeys. The great and powerful wizard grants Dorothy’s friends their wishes and of course, helps Dorothy return to Kansas. 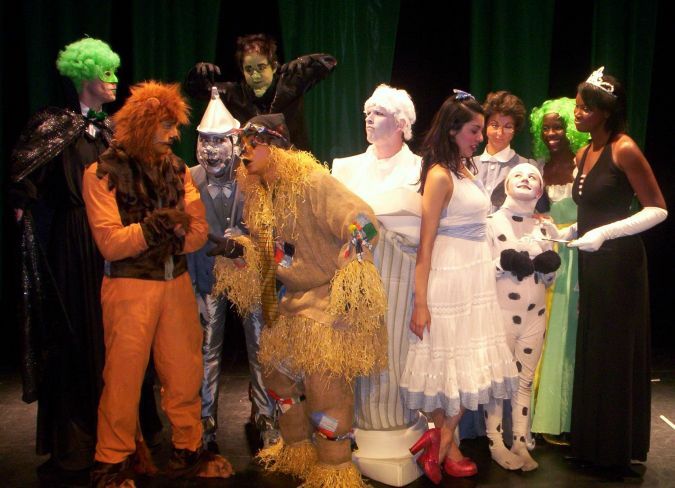 These books help you use drama to bring pre-teens together in creative, collaborative ways. They’re a great tool for fostering a drama-healthy curriculum. I absolutely love this show! It is a great script with great music. We filled the auditorium for both shows.